Just following Jesus in my real life...: Fall is here! Autumn officially begins this evening! Portland has had a hot, dry summer, and this weekend was more of the same. just in time to usher in fall. The weather report says, " it looks as though our hot and dry days are now behind us." I'm ready to make soup or stew and light some cozy pumpkin scented candles. In the meanwhile, welcome Autumn 2014! 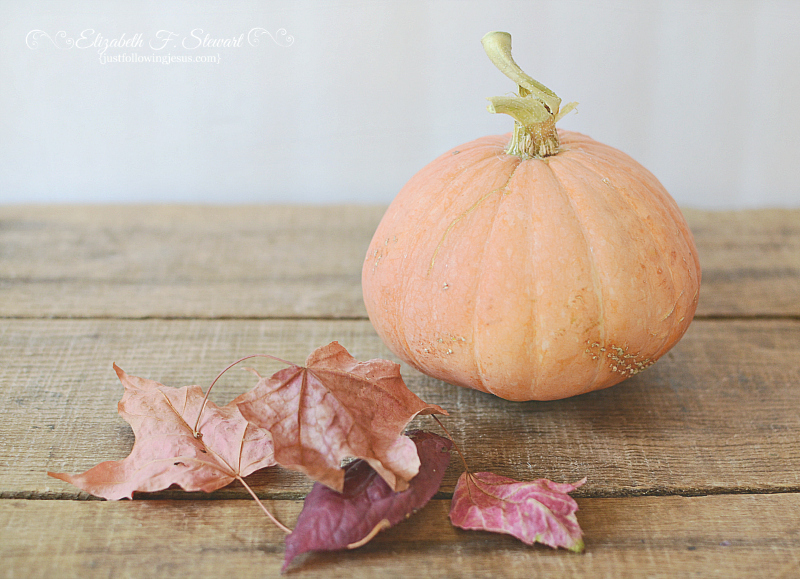 Elizabeth, You've created beautiful fall vignettes. Your pictures usher in fall with warmth and color. I love your attention to detail - in the way you arrange the items, your focus, and the wooden table as a backdrop. And those vintage scales . . . a touch of nostalgia. Gorgeous photos! Thank you so much Donna. I'm learning and growing and practicing and enjoying the whole photography process. Your images show the beauty of fall. I love the scale. We are feeling a chill in the air here in Ohio. It is nice to wear jeans and sweaters again. Hope you feel the chill of fall soon too. Gorgeous photos and I'm in LoVe with your scale! Perfect touch! Thank you so much! It was a fun still life to put together. Cindy, you aren't the only person who's having that problem and I can't seem to figure out how to fix it. When I do I will let you know. Such a pretty set of images. 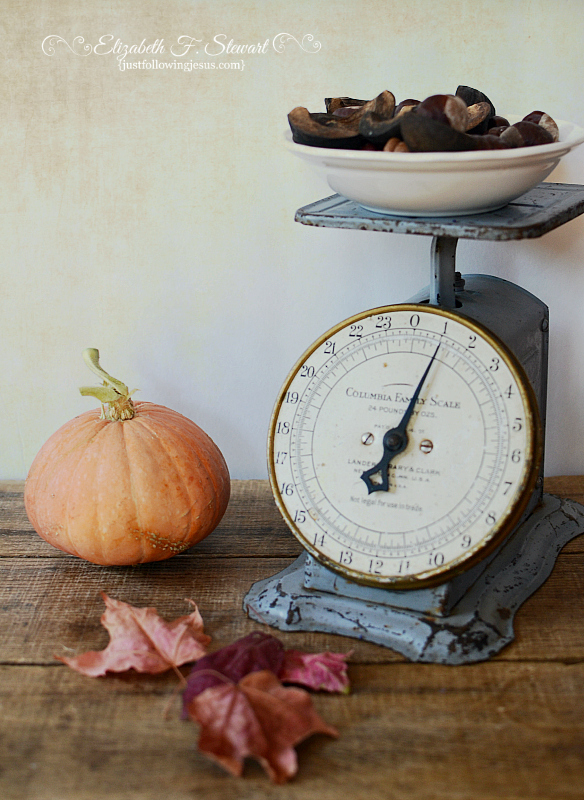 Love that scale and that sweet pumpkin. Yes! I'm ready for soup and stews and maybe a warm apple crisp. So lovely. 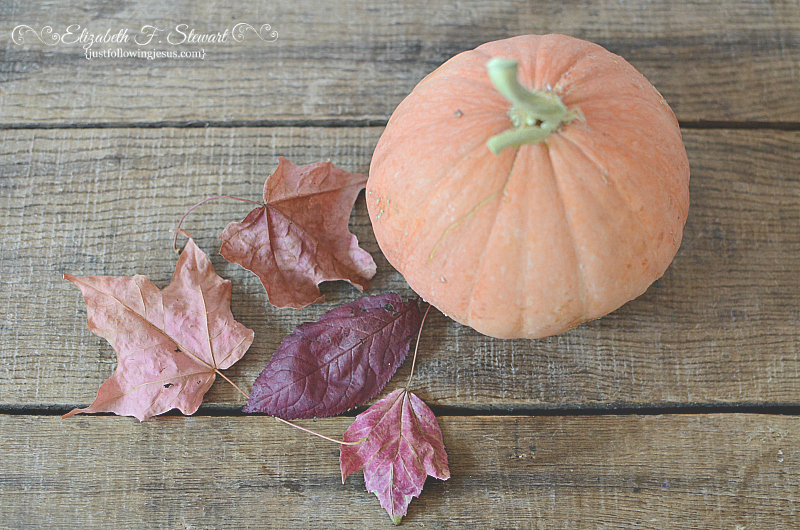 I always enjoy your images...the scale, the old wood...and those "dusty" antique-y pumpkins are my favorite. Yes, bring on the fall! Much love to you, friend! beautiful photos! and that scale is super! Thank you so much, Roxi! It was fun to include my scale in a still life. Hello Fall! I'm kind of featuring you twice this week, but I cannot help it, you had me at fall :-D. The top photo... I would buy that for my mantle. You are so sweet. Thank you so much for featuring me! I do love my scales as well. It was fun to use them in a still life. Great scale and the stem on your pumpkin is so sweet! Lovely images and processing. Thank you so much, Carol. I had fun taking the photos. Beautiful still lifes. The scale is really neat. Thank you so much. The scale stole the show this week. Everyone loves it. It's a fav of mine as well. Thank you so much, Caz! It was fun to photograph and edit. I love my old scale as well. Love every one of these. That scale is to die for! Thank you, Denise! It was a fun photo series to shoot and edit. Your still lives are wonderful. Love your scales. Thank you, Earl. Still lives are my favorite. Wonderful images of fall. Nice texture work. Thank you, Marilyn. I enjoyed photographing and editing these shots. Lovely shots. It is cooler here too due tot he gray skies. Unfortunately the humidity remains high. And i f it was not for gray skies our temps would still be 80 to 90. Hard to fell fall like in those temperatures. I did live in a place where we actually had fall and colored leaves and I miss that. Portland, Oregon was unusually hot and dry for most of spring and summer. We really need the rain, which is words you hardly ever hear where I live! 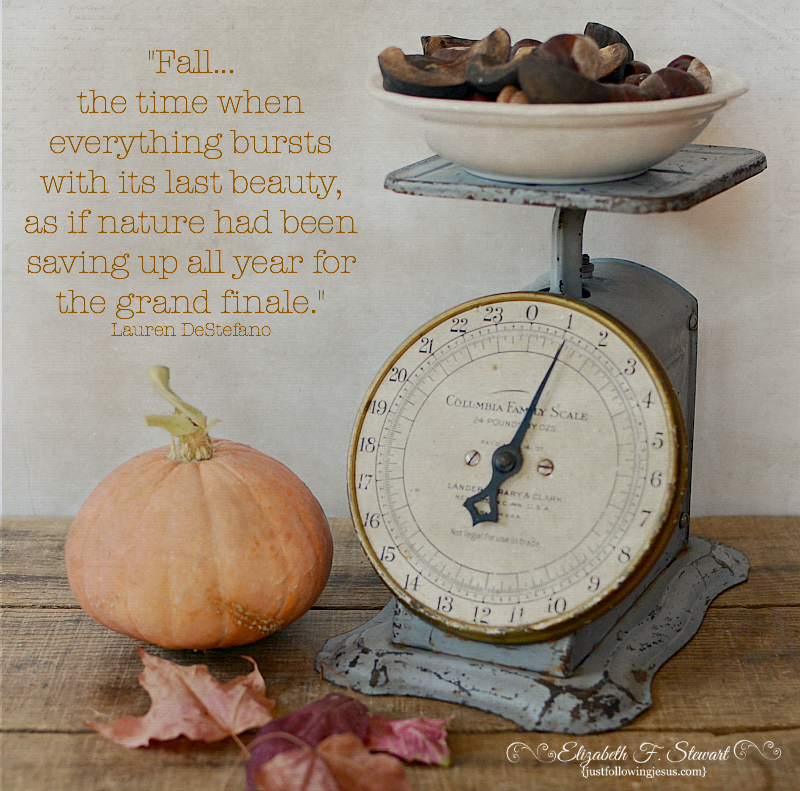 Beautiful Autumn vignettes, Elizabeth! I love your vintage scale!